Missouri Southern State University and the Joplin Area Chamber of Commerce Young Professionals Network will host the third annual Dress to Impress event from 9 a.m. to 5 p.m. Wednesday, March 15, in Billingsly Student Center’s Connor Ballroom. The purpose of the event is to help MSSU students and alumni start or expand their professional wardrobe to prepare for the upcoming Spring Career Fair and their careers. Over the last two years, this partnership has helped over 400 students. 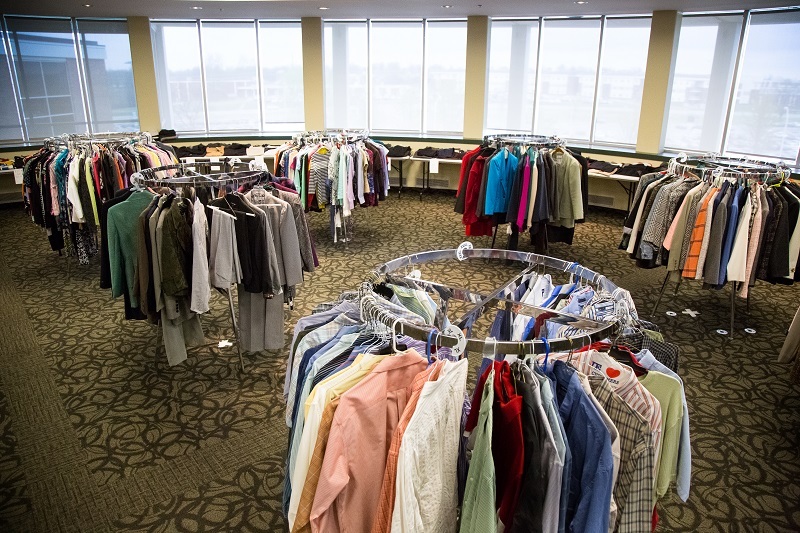 Community volunteers shop with students to help find outfits for job interviews and to expand their professional clothing options to prepare for the job market. “Dress to Impress is a highly impactful event that meets the practical needs of our students on campus,” said Alex Gandy, director of Career Services. “We want students to feel confident as they enter the workforce, and this event helps do exactly that. When a student puts on that blazer, pant suit, skirt, or tie, they see a small glimpse of their potential, their future, and ultimately their career. For more information, visit www.mssu.edu/career or call 417-625-9343.